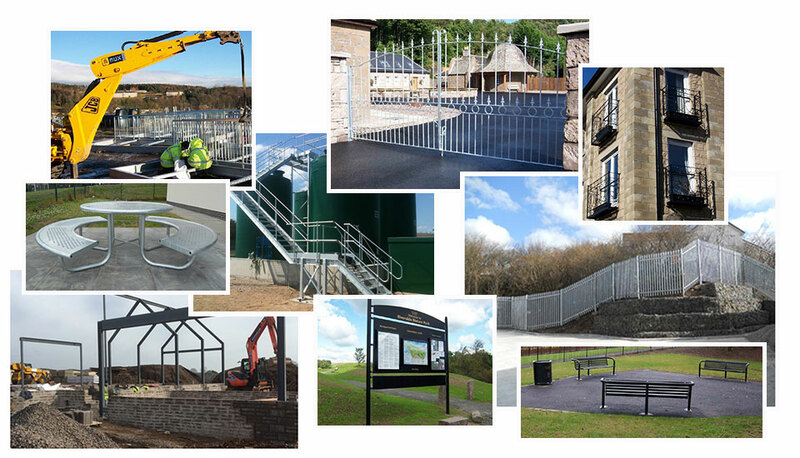 We have gained considerable experience and contractual credibility in development, manufacture and installation of a wide range of decorative security, railings and gates for local authorities and contractors. We manufacture a wide range of public seating, litter bins and picnic furniture. Designs are in a variety of materials and styles to suit both urban and rural environments. 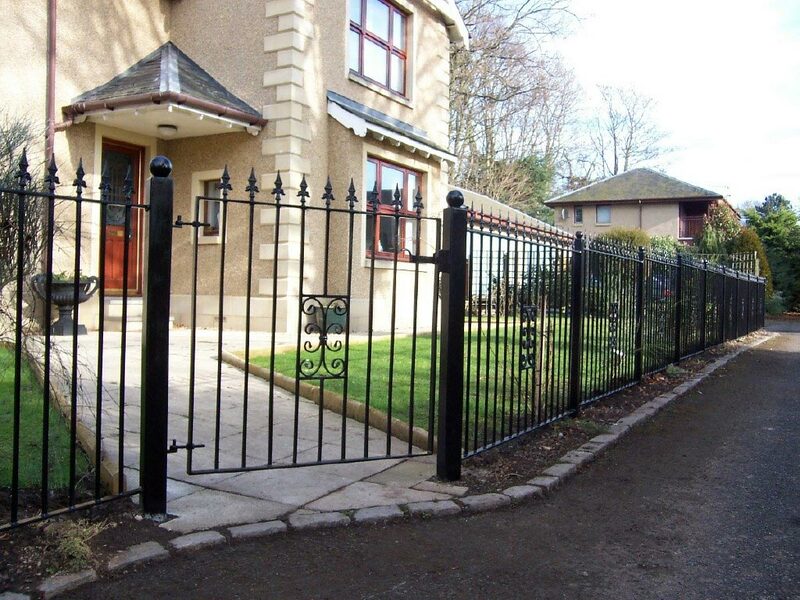 Our gates and railings are tailor made to suit the requirements of our customers. We create both traditional and contemporary gates and railings, which are manufactured and finished to a very high standard. 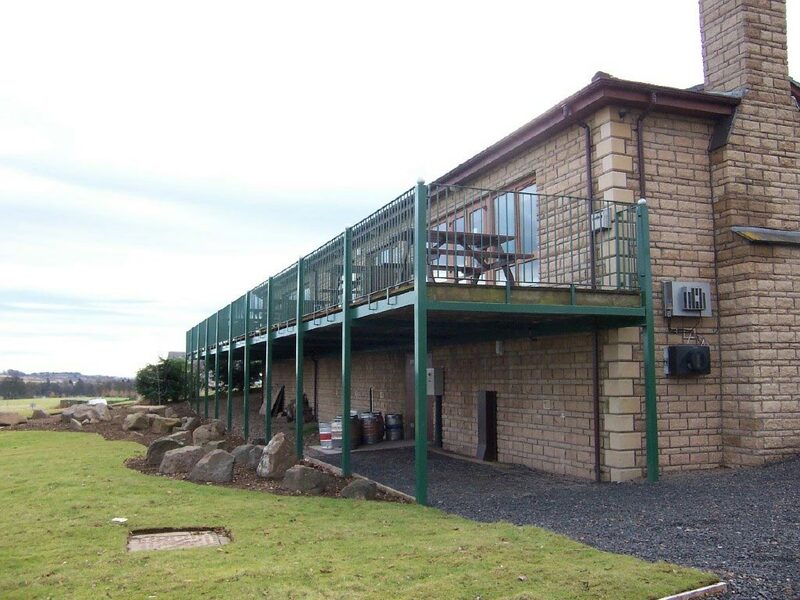 We create a huge variety of balconies for a wide range of customers and end use. Working hand in hand with architects and structural Engineers we have created balconies, stairways and platforms. We have produced a vast variety of staircases and fire escapes for a wide range of customers and end use. Working hand in hand with architects and structural Engineers we have created functional, safe and stylish solutions. We undertake all types of decorative and traditional fabrication and can design and create endless possibilities to enhance any property. Internal stairways can be rejuvenated to create an attractive feature, by adding a top quality staircase or balustrade. 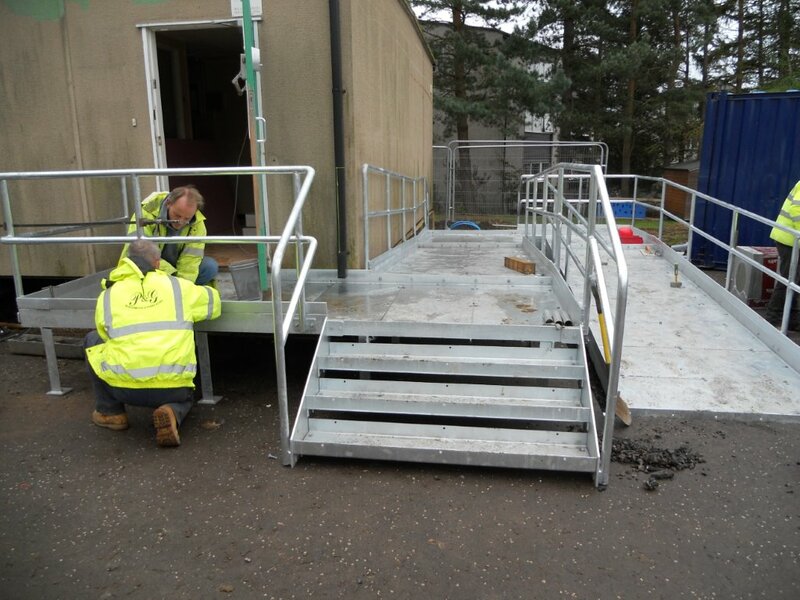 We cover most areas of general metal fabrication and can produce one off projects or multiples.Call us to discuss your requirement and we will endeavour to offer the best advice and most cost effective solution. 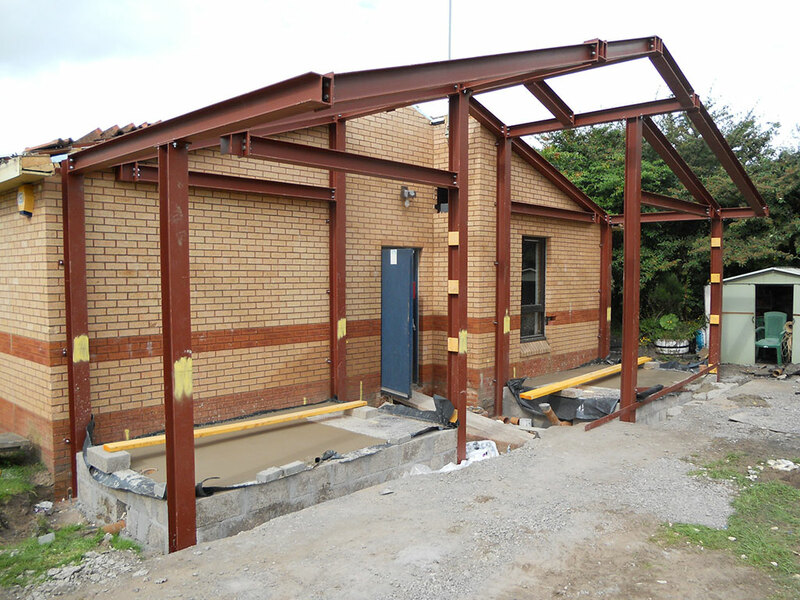 We are experienced in most areas of structural steelwork for the building and construction industry and can accommodate projects from steel building frames to building extensions to balconies and terraces and so on. We have developed may innovative display and signage solutions to meet today's need for effective, managed communication whether in the city, urban or countryside locations. Our Ad Columns are a unique product, the result of a collaborative design process to meet a need to regulate fly posting. We have designed and developed a wide range of benches and seating solutions for public spaces. These include our highly acclaimed wheelchair access picnin seating. We manufacture a wide variety of bins in various sizes and styles. Designed with strength and rigidity to be both visually pleasing and unobtrusive, each is fully weather proof and highly vandal resistant. P&G Blacksmiths & Fabricators offer a wide ranging portfolio of products and services based on traditional blacksmithing skills combined with advanced technology fabrication techniques. P&G Blacksmiths and Fabricators are interested in your needs and would be delighted to be given the opportunity to respond to your enquiries. Please have a look over our Products & Services and to get in touch call us on 01382 817639 or 07860 533266 or visit our Contact Us page here. We offer a wide ranging portfolio of products and services based on traditional blacksmithing skills combined with advanced fabrication techniques. We have been trading successfully since 1990 and throughout this time we have maintained an excellent reputation and can offer clients a wealth of experience. We are clearly focussed on customer service and strive to go that extra mile for clients and to offer solutions not problems.